Something New for the Oven – Baked KitKats! Greetings, Inside Japan Centre Readers! If you visit Japancentre.com regularly, you may have noticed that we have been promoting everybody’s favourite Japanese biscuit confectionaries, Pocky and KitKat, this week. We are always trying to offer new and exciting varieties of these iconic snacks, and we believe this time we have hit the nail on the head with the all-new toastable KitKats, now available to buy online! Join us as we take a whistle-stop tour through some of Japan’s most well-known pop culture! You’ve cooked a delicious Japanese meal, but how to serve it? 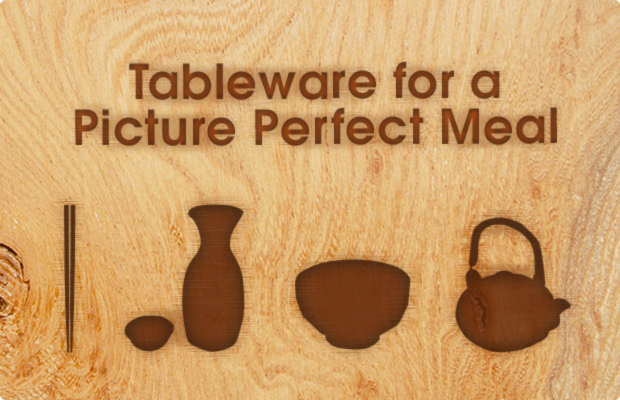 Learn all about the tableware you need to make your dinner or afternoon tea picture perfect. Check out our recommendation for six must have Japanese ingredients, what to use them for and just why there are so many different types! Natto can have a bad rap, but this little bean dish could help your heart! Read on to learn what natto is, how to eat it and what it can do for you! Taste Local at JAFF – Kyushu Japan Food Festival is coming! Roll up, roll up to Japan Centre’s 6th Japan Food Festival! From the 11th – 31st of August we will be showcasing regional produce from Kyushu, the southern most of Japan’s four main islands. Visitors to our Piccadilly store will get a chance to sample a different selection of these delicious foods in free tastings everyday! Plus there are free original tote bags for the first 100 people to spend over £20.